Call Now to Sell or Buy Gold! Gold, Silver and Platinum Dealer in Pittsburgh. 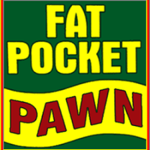 If you’re looking for a place that buys gold, silver, platinum, collectibles or jewelry, visit Fat Pocket Pawn. Our professional and courteous staff will work with you to provide the best value for your items. We buy your items for fast cash and offer the best deals in town. We have great prices for new and used merchandise and offer top dollar for your unwanted items. For over 20 years, we have built a solid reputation by providing exceptional services to our customers. Visit us to sell or buy anything you love at a fair price. Call us at (412) 229-7916 to learn more about us. Copyright © 2018 fatpocketpawn.info All rights reserved.